Looking to put together a decent gaming rig? This build guide will help you get started, and throw some advice on how to plan for future upgrades. While the focus here is on 1080p in modern titles, this rig will handle 1440p with a large number of titles, plus 100 FPS+ with popular eSports titles like Overwatch and CS: GO. Mid-range systems are the sort where you want to game with only minor upgrades in the future, such as with a new GPU when it comes out. 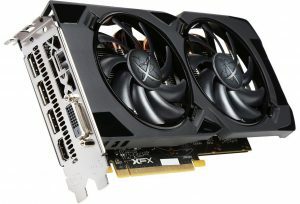 They should provide a solid foundation for 1080p gaming for at least 3 years without upgrades, and possibly 5+ years with a couple of upgrades. These systems are not just limited to 1080p though, as they should provide for 1440p in the short-term, and if prices come down, possible VR gaming (although you may want a better GPU in the long-term). As with any of these builds, there are pros and cons to each part, and it will depend on what you are after. While Battlefield 1 is the first game in a long time that stresses the CPU, it’s more of an exception than the rule at this point, so going with something like a Core i7-6700K is going to be a bit overkill. 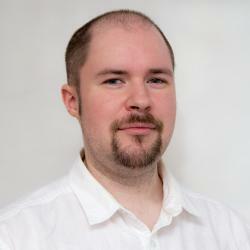 The GPU will still be the biggest factor on a new build for gaming. With this build, pretty much all modern games should be playable at 60FPS quite comfortably at 1080p. Moving up to 1440p is completely reasonable too, as long as you are prepared to drop a few settings to get there. If you are looking for something to play the likes of Overwatch or CS:GO, then this system will easily play those at over 100FPS (putting your 120Hz monitor to use). We’ve set a budget of around $800 for the basic system, this means no software or OS, no monitor or peripherals. Most of those can be scrounged up from an existing system if you wish, but if you are planning to build a complete system, then you’ll need to factor in other costs such as $90 for Windows 10 and another $100+ for a good monitor. We’ll be looking at displays in another roundup. For now, we’ll look at the components for this current mid-range system. 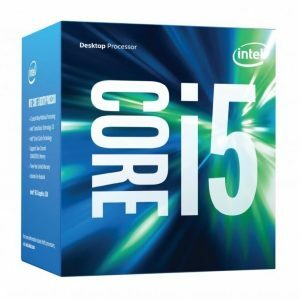 In this price range, we are looking at more modest Core i5-series CPUs. These will provide 4-cores without HyperThreading (so no 8 threads), which is sufficient for 95% of all games and applications. Whether you drop the cash for a K-series CPU for overclocking will be up to you, just be aware that it does increase the cost of the build by an extra $50-$100 (as the unlocked CPUs cost more, and so too does the motherboards with overclocking enabled, such as the Z170 boards, plus extra cooling). Because prices are all over the place, we’re offering up two CPUs for your choice. You can go the cheaper route with an i5-6500 for $205, or you can go with the overclockable i7-6600K for $240. In either case you will need to pick up a cooler, as neither come with one. 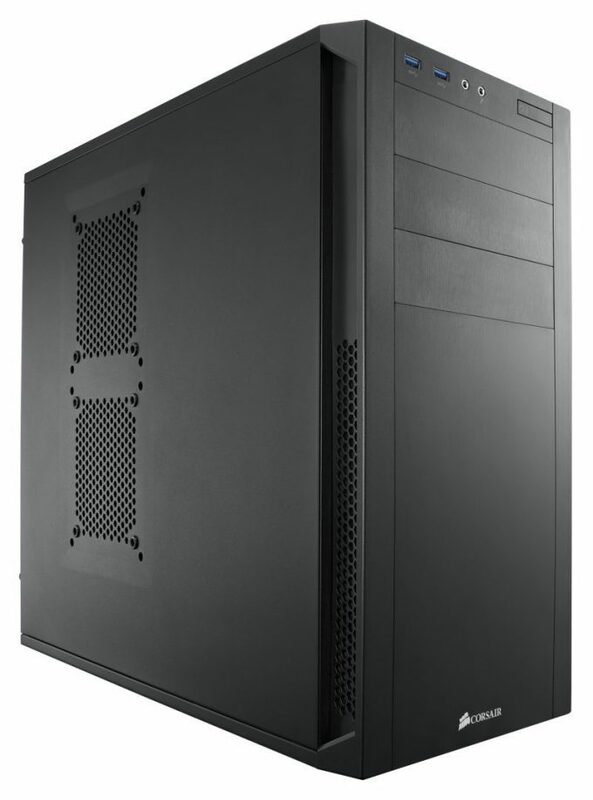 A good choice if you can get it cheap enough is the venerable Cooler Master Hyper 212 EVO. It’s price is between $24.99-$34.99 depending on the day of the week and whether a rebate is involved. For overclocking, you might want to pick up something a little more substantial, but for basic overclocks, the 212 EVO should be fine. Water cooling in the budget range is not worth it, not even a little. Low-end AIO water coolers generally perform worse than an equally priced air cooler, the only major difference is the size of the cooler. AIOs tend to be more flexible with their fittings, making them better for smaller systems. Air coolers do have one major advantage over water cooling though; significantly less to go wrong. As water coolers age, water can escape as vapor from the fittings, get clogged up, the pump can fail, and the system will overheat very quickly. Air coolers, the only thing that can go wrong is a clogged fan, which is easily cleaned. Update: Intel and AMD currently have a good deal going on for an Intel i7-6600K + AMD Radeon RX 480 + Civ VI and DOOM, all for a reduced price of $450. This isn’t as critical as it once was. Motherboards are still the gateway for the rest of the system, but their impact on performance is marginal. The first thing to consider is if you intend to overclock, but with the CPU listed above, that’s not possible, so most of the higher-end motherboards are not required. If you intend to keep within a budget, an M.2 slot isn’t needed either. Multi-GPU systems like SLI or CrossFire are another luxury, and rarely offer reliable performance (there are many games that just don’t scale well with multiple GPUs). Integrated audio is decent these days, so you won’t need a sound card. Some motherboards have the option of Wi-Fi, otherwise all of them have a gigabit Ethernet connection. The form factor plays a part in what to pick, since if you plan to build a small PC, then mini-ITX might be what you want, otherwise ATX or micro-ATX will be the typical sized motherboards. 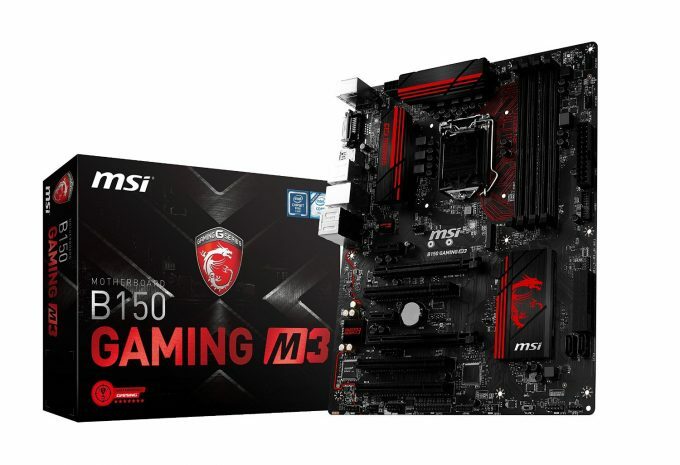 For this system, we went with MSI’s B150 Gaming M3, as it was one of the cheapest motherboards we could find at $90, but still provide all the core functionality you could want. The only catch we could find with it is the Killer Network port, as we would prefer Intel, but you can jump to the B150A Gaming Pro if you want that. If you plan to overclock with the i7-6600K CPU we mentioned before, you’ll need a motherboard with the Z170 chipset. For this we went with ASUS Z170-E, which provides plenty of fan control support USB 3.1 Gen 2, M.2 and an assortment of overclocking tools. While it lacks the one-button overclock mode of the A-series board, this will still achieve similar overclocks with a bit of manual tuning. 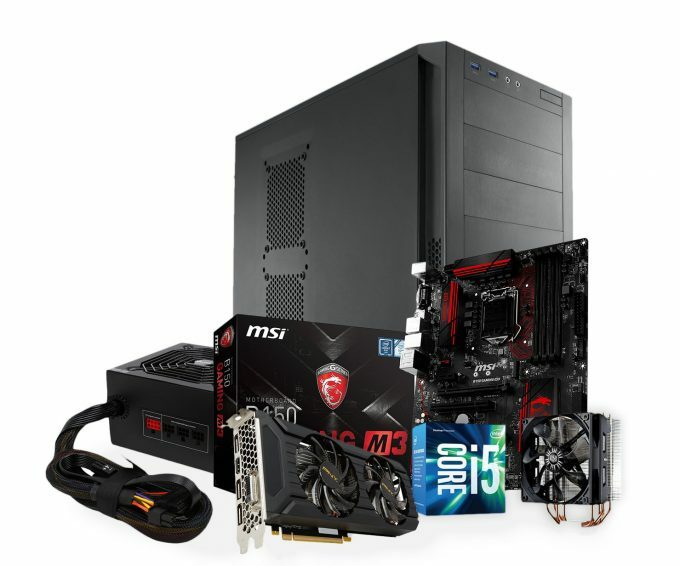 Best of all, the price is slightly less than the MSI board due to a rebate bringing the price down from $110.99 to $85.99. At the rebate price, this might be the better option, but when the rebate is gone, stick with the MSI board for non-overclockable CPUs. The GPU is what will leave you pausing in thought, and it’s going to be a tough call, as the market is very competitive right now, with performance figures being well within each other. It really will be a case of deciding on the spot when you put the order in, as the price will ultimately decide on the outcome. For a more detailed look at what’s on offer at different price points, you can check out our GPU Buyer’s Guide. The two main contenders in this mid-range system is the NVIDIA’s GTX 1060 6GB and AMD’s Radeon RX 480 8GB. The 1060 does have a 3GB variant, which will drop the price of the card by an extra $30, but we think that the larger framebuffer of the 6GB version will pay off in the mid to long-term. Similarly with the RX 480 where the 4GB card can be had for (a lot) less than the 8GB card. Prices for the two are almost on par for the two full memory versions, with the 6GB GTX 1060 at $250-$260 while the RX 480 8GB is going for about $240-$260 (when it should be going for $200). With the RX 480 4GB card, that can be had for as little as $180, which shows how inflated the cost of the 8GB version is right now. The GTX 1060 3GB is going for around $200-$230, which is much more in-line with MSRP. From a performance perspective, the GTX 1060 is the better card in pretty much all tests except Vulkan-enabled games, where AMD’s experience with Mantle is paying off. If by the time you come to purchase, and the RX 480 is going for its MSRP of $200, then by all means go for it as it’s still an excellent card, fully capable of 1080p gaming on even demanding games like Battlefield 1. With prices being equal as they are right now, then the GTX 1060 6GB would be the preferred choice. It’s the faster card in most cases, by quite a margin for some games. Go with an 8GB kit (2x4GB) DDR4, speed doesn’t matter. Pretty much all games won’t use more than 8GB for at least the next few years (since they’re still mostly 32-bit even today). Sometime in the future, you may want to upgrade to 16GB, but it’s not going to be a major concern. The only occasions you may want to have more than 8GB will be if you plan on doing anything creative, such as using Chrome Photoshop or video editing. If that is the case, going with a 2x8GB kit will serve you now for an extra $40 more, while still leaving room for another 2x8GB if you need more in the future. We went with Kingston’s HyperX Fury DDR4 2133MHz 8GB kit (2x4GB), priced at just under $44 through Prime. If you shop around with G.SKILL, you might be able to find a kit slightly less, with Newegg having a kit going for $40. Don’t be put off by some of the plain Crucial memory with the green PCBs and no heat spreader, they will work just as well, so keep an eye on prices with them. This is another tough call. Games are big, and getting bigger. It’s not uncommon to come across 50GB+ games from your typical AAA developer, so going with 1-2TB of storage is pretty much the minimum these days. However, the price war will kick in when you consider the benefits of an SSD. Nearly everyone here on the team will opt for a small SSD for the OS and key apps, and a 1TB+ hard drive for games. That SSD is definitely a ‘luxury’ as it’s not critical to the performance of the system. Without an SSD, the OS will boot slower, and certain IO heavy apps will be slow too, but games will go largely unaffected. Frame rates won’t change, but you may level switch a little slower with a plain HDD. If you do plan to go with an SSD anyway, the absolute smallest we would go with is 120GB; that will reach limits after a couple of years of Windows updates and application installs, but it’s manageable if you don’t go crazy with downloads and applications. However, we would suggest looking in the 240-256GB range for a better long-term system, even if it’s a cheaper brand. That 240GB+ would even allow you to install 1 or 2 games as well. Regardless of whether you decide to go with an SSD or not, you’ll still need a hard drive. These days, the minimum would be a 1TB drive, although we’d stick to a 7200 RPM version, rather than the eco or green drives. 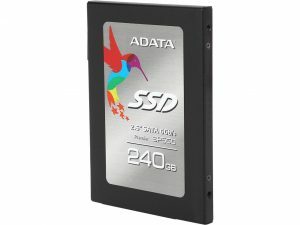 For our choices, we’ve opted to go with an ADATA SP550 240GB SSD for $61 through Prime, but if you don’t have Prime, you can go with something like the Crucial MX300 275GB for $77, and you can go with either a WD Blue or Seagate Desktop hard drive, as both are 1TB 7200RPM drives for $50. Power is critical to any PC, so for the love of sanity, don’t go with the cheapest option, and be mindful of the ‘free’ one that comes with a case. There are many reputable brands out there, so it’s worth going with a more premium option if you can. The main benefit of this is that a PSU can hang around for multiple systems and can be used for years. The next part is wattage, and this is something that a lot of people get wrong. A modern system, with all super high-end gear like an overclocked Core i7-6700K, a GTX 1080, 32GB of RAM, M.2 SSD, 3x 4TB hard drives, a whole bunch of fans, all of that will still be under 500 watts at full load. That high-end system would only need a 550 or 600 Watt PSU, and that includes breathing room for expansion (if it’s not another GTX 1080). This mid-range system only needs a 400-500 Watt PSU, and it’ll still have headroom left if you plan to upgrade to a higher-end GPU in the future. We’ve opted for a 80+ Gold rate PSU with the added luxury of being modular too for better cable management. 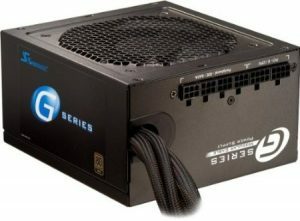 On the cheaper side, we have the Rosewill Valens-500M 80+ Gold 500W Modular PSU for $60, as this has a rather large rebate at the moment. An alternative would be the SeaSonic SSR-450RM, which is a 450Watt PSU that’s also modular for $70. Again, these will hang around for a good number of years, and the 80+ Gold rating means they’ll save you a few dollars a year on power. Lastly, we have a gamer’s paradise for the case, as it’s Corsair’s Carbide 200R. It’s quite cheap at $48, but it includes absolutely everything you need, since it supports most motherboard standards, has clean looks, solid build, easy cable management, and comes with two 120mm fans already installed (with filters). While it doesn’t include a side window so you can see all the glowing lights that are inside, we’re more concerned with function over form. The understated looks means it won’t be offensive, and there is plenty of space inside should you wish to later reuse the case as something like a file server. It even has two USB 3.0 ports on the front, along with headphone and mic ports. The only thing it doesn’t support is dual radiator mounts, like 240mm and 280mm. Kaby Lake, Zen, Should I Wait? There is a big question in the air right now, and that’s the prospect of Intel’s Kaby Lake CPU and motherboard refresh (which will use the same LGA1151 socket and should be backwards compatible with Skylake), and AMD’s big comeback to the CPU market with Zen and the AM4 Socket. These imminent releases do complicate matters somewhat as to whether or not you should wait or buy now. In these situations, the question you need to ask yourself to answer this dilemma is simple; do you need this system now? If the answer is yes, then don’t wait, as something new is always just around the corner. Making a decision to wait for Zen and Kaby Lake based on possible performance is also foolish, as neither are released yet. Performance is unknown, and most importantly, if they were to launch tomorrow, you still couldn’t buy one for another month or two anyway. However, Zen is also the reason why an AMD system is not listed as a possible build – its existing architecture is based on and refined from a now 5-year-old design. The new Zen CPUs have a lot of improvements coming purely on an architecture level, as well as native support for modern I/O interconnects that previously had to be bolted on with third-party chips. Zen is a big enough deal to wait for if you plan to go the AMD route.